Usually guilt stems from parents and religious leaders trying to instill values in children to guide their lives. Used incorrectly, it can lead to ingrained excessive guilt and can prevent a sense of self love and leave its destructive effects throughout the individual’s life. Ingrained guilt is typically not reduced by one’s later good deeds. How and Why Does Guilt Continue for So Many Years? Individuals are attracted to consistency, often unknowingly. If they focused on the faults they had as children, they later will pay much more attention and give more credence to the mistakes they make and to the criticism they receive than achievements and praise. If their religious beliefs as children stressed guilt, they will probably continue with very similar religious beliefs Also they will often seek out spouses and friends who are like the figures that influenced them in childhood. There are unfortunately so many clients I see who are terribly critical of themselves, when I am so impressed by their efforts, accomplishments, and integrity. Also, since it leaves them looking back to their past, it hinders their ability to accomplish more or enjoy life as much as they could. Excessive guilt leads them into long term relationships and jobs that are not fulfilling, where they feel criticized frequently and feel they should have done better. They also may feel they are getting what they deserve. Unfortunately, changing ingrained beliefs is much more difficult than reading an article such as this one or self -help books. There are four major interrelated changes you need to make within yourself to begin the process of reducing excessive guilt. The first is the difficult mental/emotional change to internalize the concept of “unconditional positive regard” discussed by the noted psychologist Carl Rogers. As it pertains to this article, it is the belief that you as a person are inherently good at your core. It is not unconditional acceptance of your actions or negative thoughts, but it is unconditional positive regard of your personhood. Unconditional positive regard for oneself, when attained, creates the foundation for growth and ability to make the other changes described below. The second is to realize it is not only important to forgive others but also to forgive yourself. Life is a process of changing and growing. We all do things we later regret. The steps are to try to rectify the situation, learn from those mistakes and then forgive yourself for what cannot now be changed. The third, related to the above two, is the importance of focusing on the present and future rather than dwelling on the past. See if you can correct the situation, make amends, and not repeat your mistakes. Guilt actually takes energy away from doing better; “would have…could have… should have…” leave one stagnant. The fourth is to reevaluate the statements and actions of guilt inducing people in your present and past. Have these people really been trying to guide you or were they actually trying to blame you for their own errors and/or trying to have you conform to their own selfish needs? There are also some specific actions you can take, but these will be minimally successful in reducing excessive guilt if you do not incorporate the above. The first is to realize that asking the other person for forgiveness and/or making amends can have a tremendous impact. Think of times when your anger has melted away when someone gave a heartfelt apology and promised to do their best to prevent a reoccurrence. Linked to this is making reparation. “Please let me replace this,” or “Let me pay for dinner since I kept you waiting so long.” Most people are very impressed by the concern for them when someone apologizes and acts to compensate them. However it is important to realize these actions will not be successful if the other’s main motivation is to have you feel guilty. Another important method is to use your own good judgment to evaluate the situation. While each of us has immature parts of our personality where we do or say foolish things or have excessive guilt, most of us also have an objective side of ourselves that is able to evaluate the situation clear of our emotions. How many times have you given others better advice than you followed yourself? With clients, I use a variant of the Gestalt method of “the empty chair.” When the client has shared with me self condemnation or a sense of hopelessness, I may ask him/her to move to another chair. Then I create the following scenario. “Let’s say a very good friend of yours is in this exact situation and is sitting in the chair you just occupied.” I then repeat all the relevant factors of this situation. What would you say?” Nine times out of 10, once the client has really put a friend, not him/herself, in the empty chair, the client will give a much more mature and objective assessment and recommendation. 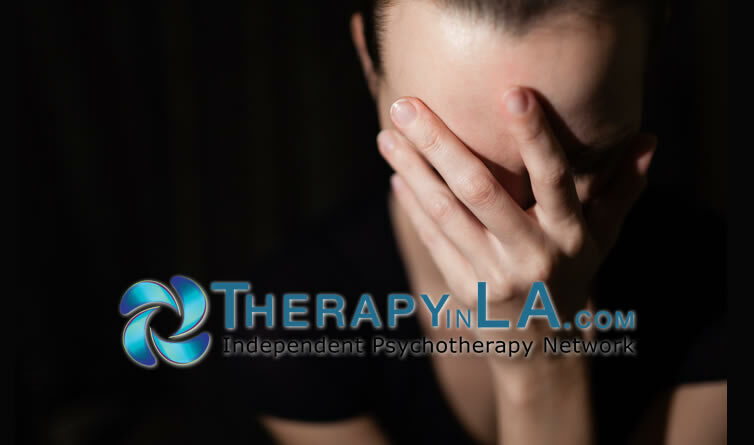 Through consistently repeating this along with others interventions, the more immature side can become gradually more mature and begin to grow past the client’s own condemnation and that placed by others. Also the client feels proud that the best answer actually exists inside him/herself. I often refer to this process as creating a bridge between the hurt, wounded side of oneself and the more adult, objective side. This bridge assists the more immature side to grow and to develop into an understanding and realistic adult—for oneself. I hope this discussion has been helpful in better understanding and assessing your guilt and beginning the process of reducing oppressive guilt. 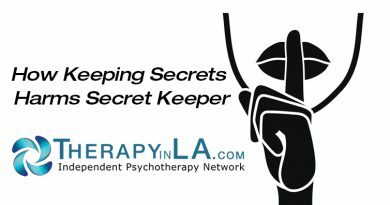 Dr. Malcolm Miller is a Clinical Psychologist practicing in West Los Angeles and Torrance and is a member of the Independent Psychotherapy Network. He may be contacted at 310-822-8898 or mmillerphd@aol.com. Copyright 2019 by Malcolm Miller, Ph.D. The purpose of this questionnaire is to help you determine the extent you are plagued by unjust or excessive guilt and deserve to seek some assistance. For each concern below, mark 1, 2, or 3 for the extent it is true of you. When something goes wrong, my first thought is that I am to blame. When someone criticizes me, I am sure that he/she is right and I messed up. I remember more of what I did wrong in the past than what I have accomplished. If I cannot help someone I am close to feel better, I have failed. People I feel close too often reinforce my self blame or being at fault. I believe I do not deserve to be happy or enjoy myself. I believe putting myself first is bad. Others’ evaluation of me is more important than my evaluation of myself. I feel guilty if I am proud of my accomplishments. Even after I do a good job of rectifying something I did wrong, I still feel guilty. I often apologize or say “I’m sorry” even when I have done nothing wrong. Please add up your ratings. If you scored 12-15, you have the usual guilts we all carry but are doing pretty well; the need to see a therapist for this is optional. If you scored 16-20, it would be a very good idea to see a therapist. If you scored 21 or above, it is strongly recommended you see a therapist—learn to be fair to yourself; seek some help!